Streaming TV device maker Roku on Tuesday unveiled a new model that offers video in Ultra HD, or 4K, resolution, matching what’s available with Amazon’s new Fire TV device. Although relatively few TVs today are capable of displaying that sharpness, having the feature now means it’s available when households buy a 4K TV as prices drop. The new Roku 4 will cost $130 (roughly Rs. 8,500) and will ship by the end of the month. Besides 4K, the new model will help people find a lost remote under the couch by signalling the remote to make a sound. Roku will continue to sell older models at prices that start at $50 (roughly Rs. 3,200). All Roku devices are also getting new software offering more ways to get alerts when movies and shows become available for streaming or have price reductions, allowing users to follow them. A new feature promises to make it easier to connect in hotels, dorms and other public settings with complicated sign-in procedures for Wi-Fi. 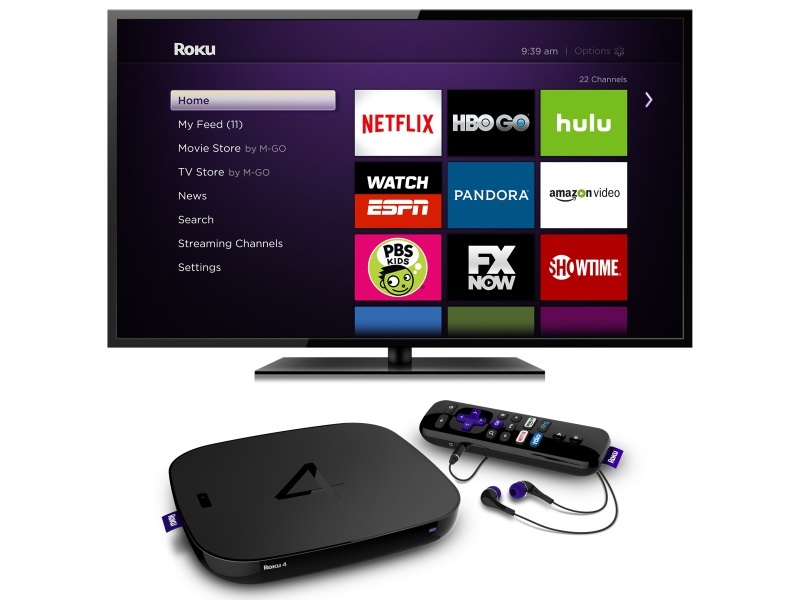 Roku offers access to more than a thousand apps, a broader selection than what rivals such as Fire TV, Apple TV and Google’s Chromecast and Android TV devices offer. Google late last month launched the second-generation Chromecast that sees a complete departure from the original’s construction. The all new design sees an HDMI cable looped inside a circular Chromecast logo-shaped unit. The company says that it has upgraded the internal components to make the new Chromecast more capable. There are now three antennas inside the device, and the device supports 5GHz 802.11ac Wi-Fi for stutter-free high quality streaming.